has a collection of Victorian and other antique novels with gorgeously-designed covers and quirky titles. Don’t miss the labyrinthine basement, where parts are wallpapered in book covers and scattered armchairs and settees encourage lingering. The boutiques, unsurprisingly, tend to have a nautical bent. 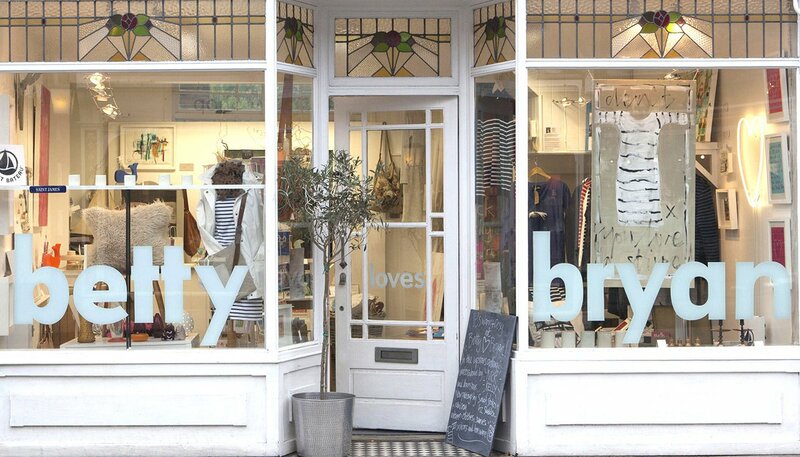 (named after the artist owner’s parents) sells a mix of art, clothing, and housewares, including Breton striped tops and scarves from playful Danish label . Modern offers loose, airy menswear and womenswear (think wide-cut tops and overalls) from a British-heavy lineup including , , and . Harbour Street leads to , where a collection of fishermen’s huts forms an arts and crafts market. The market is a bit touristy, but the harbor itself — littered with bright boxes and buoys — is worth a stop. I went over the summer and didn't see anyone swimming — partly because the positioning of the oyster trestles and partly because . As for those oysters, well, you don’t have to look far. 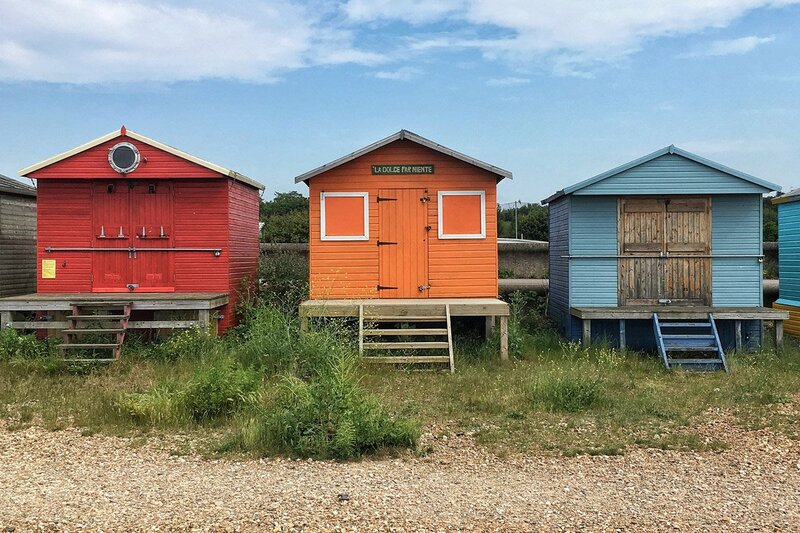 Near the harbor, you can find them at , a beach shack that also serves doughnuts, fish and chips, and ice cream. For a less casual experience, skip the taverna-esque ground floor of the nearby (also known as the Royal Native Oyster Stores), and head upstairs to the spacious, high-ceilinged shop, where you can nestle into a leather couch or perch at a narrow bar overlooking the water after browsing an array of bohemian candles, pillows, and other bric-a-brac. While the menu is more limited than the one downstairs, the atmosphere more than makes up for it. 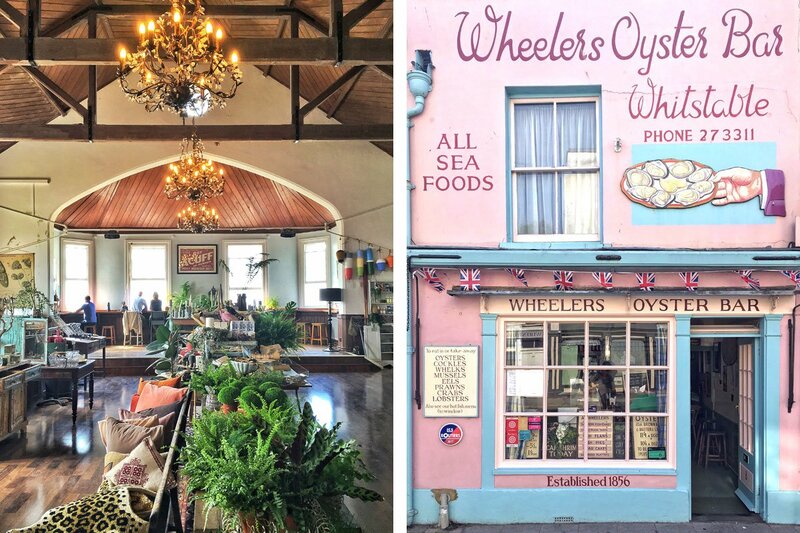 In town, oysters with atmosphere can also be found at , whose pink and blue façade (and stylish cursive lettering) are a photographer’s dream. If seafood is not your thing, try the cozy , which offers shelves of groceries and an extensive sandwich menu — as well as a tantalizing array of cakes and pastries. 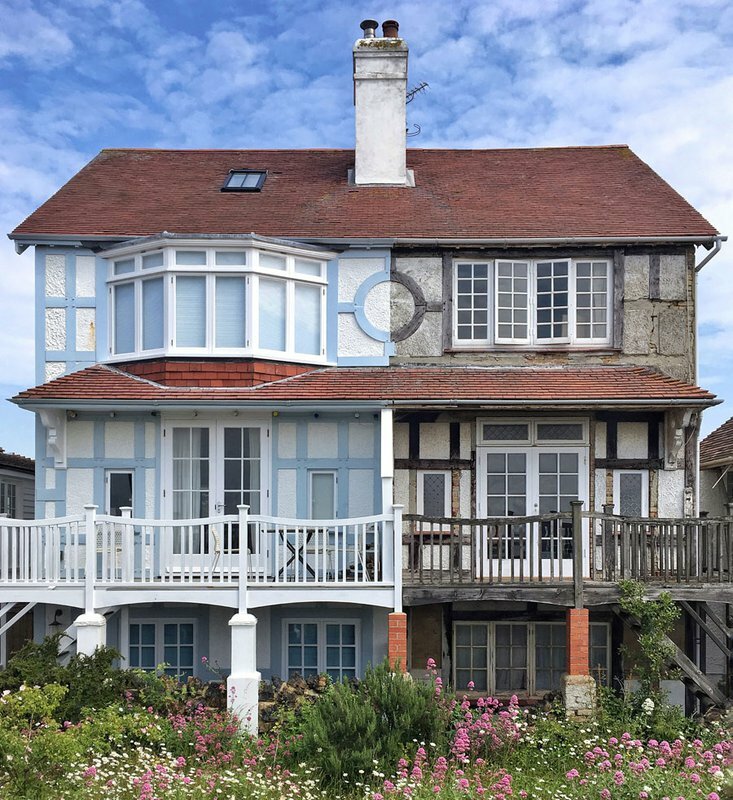 Alternatively, visit the nearby , a white clapboard pub dating from the 19th century and located directly on the beach, a rarity in the UK. Lastly, I’m considering a trip back just to sample the Oreo milkshake at , an adorable throwback of an ice cream shop that also sells beach toys and crabbing equipment. 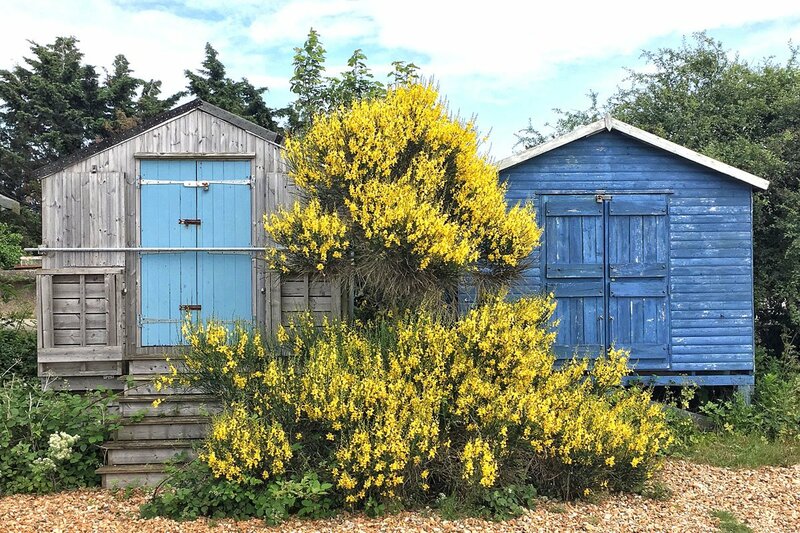 Whitstable plays host to a number of festivals throughout the year. The roughly two-week-long installations — heavy on film and performance — are scattered throughout the town (a leaflet of poetry in Oxford Street Books, for example, and a video screening in a DVD/comic shop). The annual July includes an oyster eating competition and a costumed parade through town. 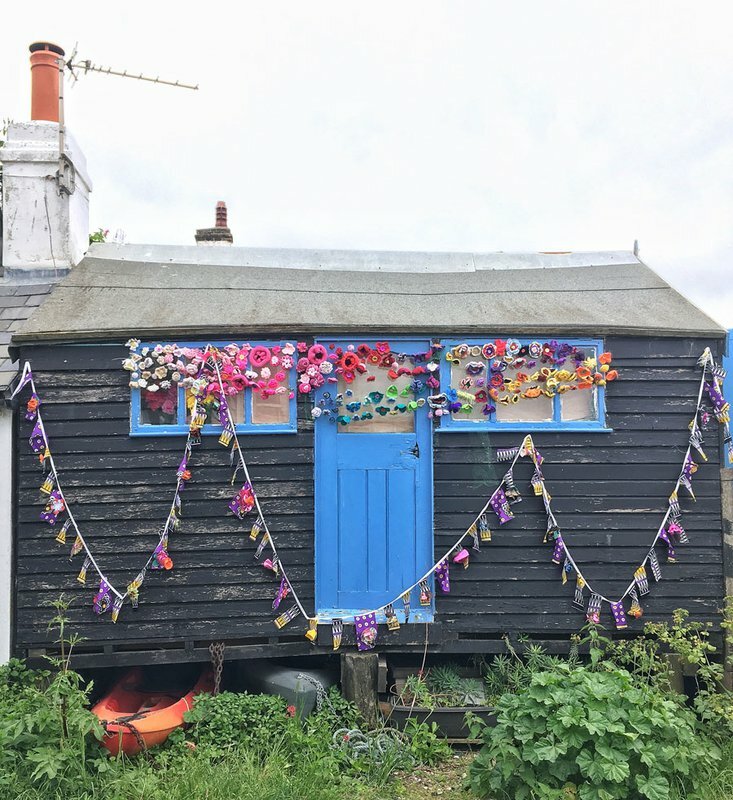 Where to Stay: If you want to spend the night, The Whitstable Oyster Fishery Company has . bed and breakfast is also a lovely choice. Meghana works at the , where she helps develop and manage initiatives focused on growing NYC as a global fashion capital. She travels for the modern art museums, diverse neighborhoods, and cool retail environments.